Owen joined the Rhinos Academy in 2016 after impressing with his community club Stanley Rangers. 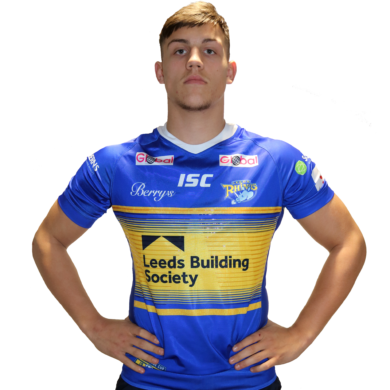 He impressed in the scholarship and earned an Academy contract Rhinos fans got to see Trout in action for the first team when he played in the 2017 Festive Challenge against Wakefield. He was then a regular for the Academy during 2018 and helped the team reach the Grand Final. His form earned him a call up into the England Academy squad to face the Australian Schoolboys. He can play front row or loose forward said his claim to fame is that it took him just 11 hours of driving lessons to pass his test. He says his ideal occupation away from rugby would be a model. The prop is the younger brother of former Wakefield forward Kyle Trout.